I want to congratulate you on deciding to give budgeting another shot because it truly is the key to financial freedom! 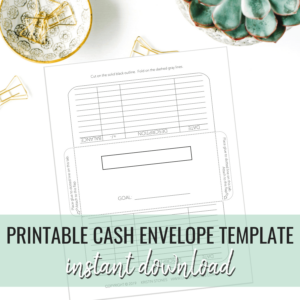 I don’t want you to get frustrated if the first month doesn’t go exactly as planned, it takes some time to really find your budgeting groove! Be gentle with yourself and be sure to take some time to tweak your budget until is performing as you’d like. The next step is so important that I want you to really pay attention here, it is imperative that you quickly save a “starter” emergency fund of $1,000. The quicker you can do this the better. Then you can continue to Baby Step 2 and really begin to build some momentum and attack that debt! Will I need to cut my expenses to save my emergency fund? Depending on your financial situation, you will likely have to cut some expenses during the first few Baby Steps of this journey, and that’s great, it will definitely make an impact and help you save quicker. Here are a few of the ways that we have cut expenses over the past few years. Ditch the cable: I know this can seem extreme, but it’s really gaining some traction lately with these insane cable bills! We had Netflix for movies, binge watching and an obnoxious amount of entertainment for the kids. We signed up for Hulu+ to watch any of the current network shows and we used our beloved Amazon Prime (get a free 30-day trial!) for additional shows and movies that we didn’t have on Netflix! P.S. If you’re a student you can get 50% off Amazon Prime Student! Stop eating out: We really didn’t eat out much, to begin with, but we still cut back in this department. This is one area that many people are surprised with how much they actually spend on food! 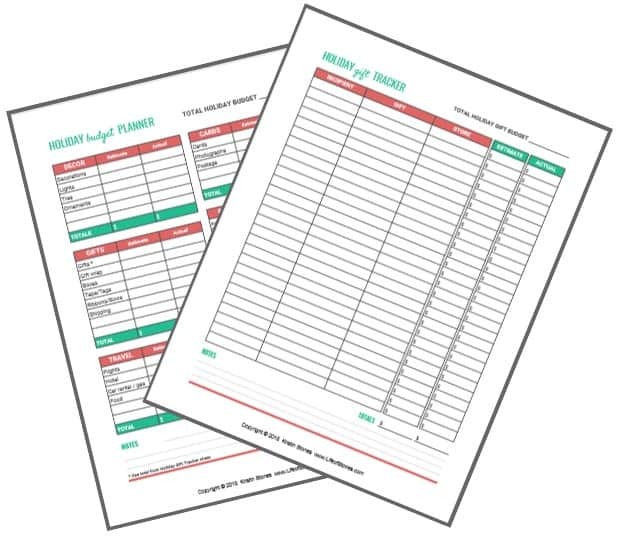 Take a week and track every time you eat out whether that’s fast food at lunch, a real sit-down dinner or just grabbing a pizza on the way home! Do some meal prepping ahead of time for dinner and pack your lunches for the week are good ways to avoid the drive-thru! Check my meal prep Pinterest board here for some good meal ideas! Finding a way to cut costs here can often make a big difference here! Make your coffee at home: I love Starbucks as much as the next person but at $3-$5 a pop it sure adds up! You can easily spend $25/week if you grab a coffee on the way to work each day…that can be $100 a month?!? I don’t often drink coffee from Starbucks but I love their tea! I ordered the same kind online (I’m obsessed with this) and now I make it at home every day instead of buying it. I can make it by the pitcher and it saves me time too since I don’t need to wait in that long drive-thru either! Stay out of the stores: this was huge for me! If you want to change your finances you have to change your habits…self-awareness is key. I knew that I had a Target “addiction”. You guys know what I mean…what is it about that place? I swear they make their employees toss things in your cart when you’re not looking! I only pick up a couple of things and by the time I check out, my cart is full?! Anytime you leave that store with a bill under $100 you deserve an award! Avoidance and lists were key for me! I really focused on purchasing only what was on the list and nothing extra…and it worked (ok, well most of the time)! If you know you have a real weakness for a certain store, try going somewhere else for a while until you can get a handle on your spending! But how can I build my emergency fund even faster?! Sell your crap: This may be obvious, but it works! It can take some time, but clear your calendar for a weekend and sort through all your old crap that is piled up collecting dust and MAKE SOME CASH MONEYYY! You can have a garage sale, throw it up on eBay or Craig’s List (note: beware of creeps) or even use the Facebook yard sales sites in your area! You can earn a quick couple of hundred bucks if you’re committed to putting in a little time. Bonus – you clean out your house at the same time! Get a side gig: There are so many options these days! You can pimp out your skills on websites like Fiverr or Upwork where people can hire you for different services or be an online Virtual Assistant where people or businesses might hire you for recurring work or maybe you’ve always wanted to start your own blog? Who knows, you might even stumble upon a new career! Sign up for some OT: Ask your boss if you can pick up any hours and have your spouse or partner do the same, this can add up really quickly! Cash in credit card points: Eventually I’m going to try and convince you to close your credit accounts and cut up your cards but before you do, check your open accounts and see if you have any points that are eligible to cash in! You can get cash back and put it towards your emergency fund. (If cash is not an option then redeem them as a credit towards the open balance on your account)! These are just a few suggestions to get you started; for some additional money-making ideas, you can also check out my Girl Boss Pinterest board here, which is all about sides hustles! NOTHING!!! This is super important! You do nothing with this money! We keep our starter emergency fund in our regular savings account. The point of this fund is to have it liquid and accessible…wait for it…in case of an emergency (obvy). This money is not meant to be an investment. This money has no job except to hang out and wait for an emergency. Its purpose is to keep you from incurring more debt. You know you probably got a credit card “in case of an emergency”. Now you will have an emergency fund sitting there available to you instead of having to use a credit card! And here’s the really cool thing. You will begin to notice that once you have this fund you will have FEWER emergencies! I promise! It’s the craziest thing! And if you do have an emergency – you’re prepared. It won’t derail your progress each time something comes up. You will have the money to cover the expense! There’s another awesome byproduct of having an emergency fund….your stress levels decrease. Like, substantially! It’s pretty amazing. You’ll no longer freak out every time something doesn’t go right, or worse when Murphy drops in! You know the old adage “when it rains, it pours”? That’s the way life goes. When you are stressed and unprepared everything seems to go wrong. It can be extremely overwhelming and almost impossible to make progress with your finances! I encourage you to put some of these ideas into practice and work diligently to save up your $1,000 emergency fund! 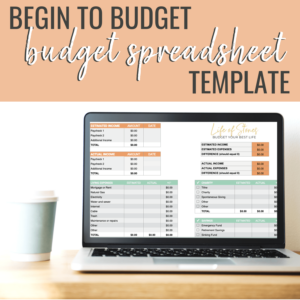 So go get to work then come straight back here and tell me how amazing you feel once you have taken this big step towards making your finances your b&#*h 🙂 Don’t forget to check out my new Begin to Budget Bundle to help you get started budgeting today! You are so right about the importance of an emergency. My emergency fund has saved us several times. Thanks for sharing! The emergency fund is so important. It is definitely worth going without for a season to have one! Thank you for these great tips….. I will be implementing some of these tips get back on track. You’re welcome, Georgine! I hope you’re able to get back on track quickly! Great tips for creating an emergency fund! My husband always has money set back. He is the saver in our family, lol! Oh good for him, that’s great Susanne! This is great! I actually was able to quit a terrible job because my husband and I evaluated where we could save and at the time he was eating out for lunch every day. He committed to taking his lunch and it covered what I was making at this job. These are great tips…especially the one about staying out of the stores. I have a Target, Hobby Lobby, and Michael’s addiction! Great post! Haha, ugh, they are just too tempting!! Having an emergency fund is so important! It seems like a waste when you have student loan debt, but you’ll be so grateful for it when your car unexpectedly stops working, or a hurricane damages your property, etc. So true Nicole, it makes such a difference! I found this tips very helpful. I will implement some. Especially selling my crap. Thanks for sharing. Haha, yes girl, sell that crap! Such a great post and love you blog! It definitely saves a lot! Thanks Sara!